Austria/Hungry. Census reports show his growing family, his children as they left home, the death of his wife, and Leopold when he lived with his married daughter. Census reports are a good resource to begin to build a family timeline. 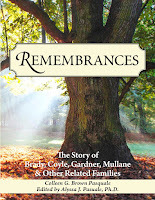 Add births, deaths and marriages and then discover where family stories fit in. 1880 US Census, NY, New York City; Vol.50, E.D. 143, Sheet 36; Line 44; New York State Library, Albany, NY, Microfilm Box #69; Leopold Gartner at 59 Pitt Street. Leopold Gartner, white Male. Age 24, Tailor on Coats, Self and Parents born in Hungary. 1900 US Census, New York, Manhattan; Vol.169, E.D. 804, Sheet 16; Line 64; New York State Library, Albany, NY; Leopold Gartner family at 445 East 83rd Street, Manhattan. Leopold Gartner, White Male, Head of Household, Age 40, b. April 1860 Married 23 years, Self & Parents born in Austria, Came to USA in 1874, Naturalized Citizen, In the USA 26 years, Tailor, Can read, Write & Speak English. 1905 New York State Census, New York County, Manhattan; ED 13, AD 30, Block A, Page 8; NYS Library, Albany, NY; Louis Gardner family on East 87th Street. 1910 US Census, NY, Manhattan; SD 1, ED 491, Sheet 4B; NYS Library, Albany, NY; Leopold Gardner family at 58 West 118th Street. 1920 US Census, New York, Manhattan, Vol. 280, E.D. 1319, Sheet 14; Line 26; New York State Library, Albany, NY. Microfilm Box #308; Leopold Gartner Family at 234 W120th Street. Leopold Gartner, Head of Household, Rented Home, White Male, Age 61 Widower, Came to USA in 1875, Naturalized, Can read & Write, Self and Parents born in Hungary. Can Speak English. Tailor. 1925 New York State Census; 1925; A.D. 19, E.D.8; 289; New York State Library, Albany, NY: Leopold Gardner family at 234 West 120th St.
Leopold Gardner, Age 64, b. in Hungary. Tailor. Naturalized: "Superior April 2, 1888". Living with two children: Moses and Anna. 1930 US Census, New York City, Manhattan. Leopold, 75 & Anna Gardner, 38 & Single. 1940 US Census, New York, Erie Co, Buffalo, SD 40, ED 64-505, Sheet 62A, April 10; ancestry.com; Weissberg family at 77 Manchester Place. Samuel Weissberg, 61 b Austria. $35 rent. finished grade 7. Lived in same place in 1935. fur worker/ retail furrier. seeking work. income $600. worked 16 weeks in 1939. naturalized citizen. Florence, 58, b NY. finished High School. Join the Arbor Day Celebration. The National Celebration is today! There are spruce, cypress, peach trees and, of course, family trees. Let’s celebrate our family trees. TheArbor Day Foundation encourages us to plant a tree today. Plant a new family tree or give some fertilizer to your smallest tree. What is your smallest tree? What do you hope to do to help it grow? Help a friend plant a new family tree. Keep planting and soon we will have beautiful forests. Be creative & use this only as a starting point. Go off in any direction you’d like. Share. 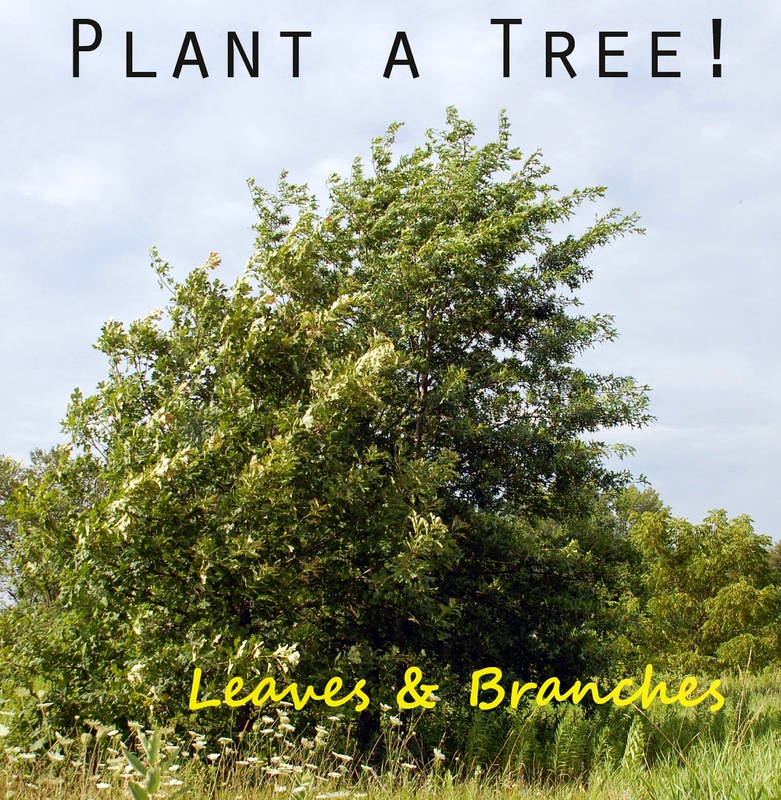 Be sure to post a comment with a link to your “Plant a Tree” post! Post when you are Ready! Key: Yellow = my direct line; Brown = New information! Leopold Gartner 1860 Hungry – 1948 NY. This little tree has just grown. I didn't have the right fertilizer to help it grow so I have reached out to a professional genealogist. Robert J Friedman from Steps to the Past and member of the association of Professional Genealogists is researching this family tree for me. Robert has already sent me birth & death records, a Hungarian Census, and other data that has helped to expand this tree. Hopefully he will help turn this acorn into a mighty oak. TheNational Celebration will be on 24 April, the fourth Friday in the month. There are willows, oaks, apple trees and, of course, family trees. Let’s use the holiday to celebrate our family trees. Look at the trees of your eight great grandparents. Which one stretches back the furthest in time? What was happening in the world when this tree was ‘planted’? How much do you know about the ancestor who ‘planted’ this tree? Read about the World's 10 Oldest Living Trees. Suggestions. Make a time line. Show us a map of how far your tree's seeds have spread. Tell us what life was like for your oldest ancestor. Is there a tree that has been around as long as your family tree? The oldest known giant sequoia based on ring count is 3,500 years old. Angel Oak in SC is 1500 years old. Share. Be sure to post a comment below with a link to your “Oldest Tree” post! 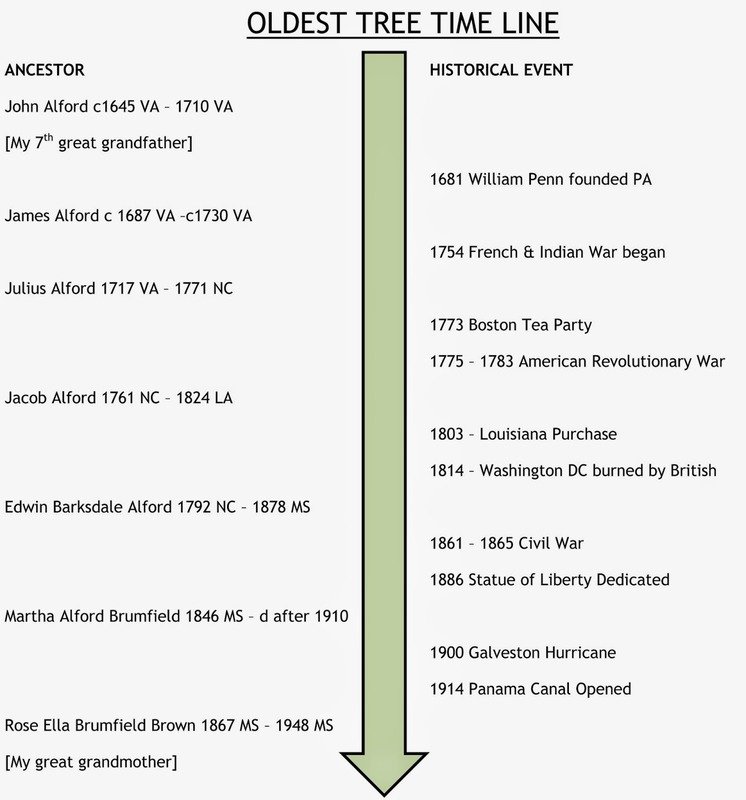 Looking at my great grandparents and moving back through the generations I find that Rose Ella Brumfield Brown is my winner for the “Oldest Tree”. I can go back to her 5 x great grandfather [my 7x great grandfather]. I must give credit to the AlfordAmerican Family Association for all research they have done & shared. You are welcome to use my photo. The National Celebration will be on 24 April, the fourth Friday in the month. There are dogwoods, evergreens, birch trees and, of course, family trees. Share. Be sure to post a comment with a link to your “Big Tree” post! Go research your trees & post whenever you are ready! 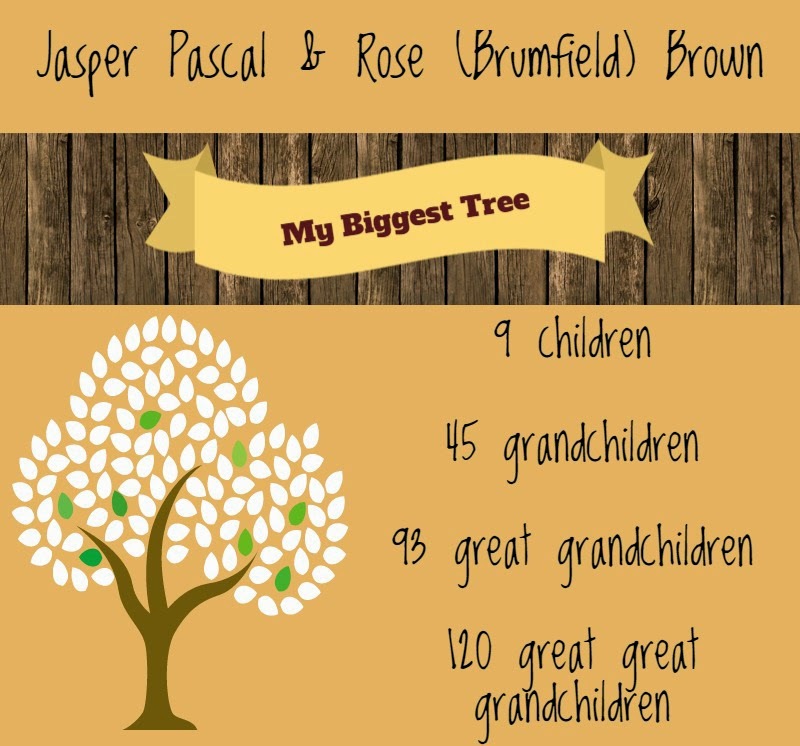 My great grandparents, Jasper Pascal & Rose Ella Brumfield Brown are the winners of the biggest tree for me. They are my father’s paternal grandparents. Jasper & Rose both lived their lives in MS where Jasper was a farmer and they raised nine children who grew to adulthood. I went to my Family Tree Maker program and looked at the Outlines for the descendants of my great grandparents. If I printed out the outline for Jasper & Rose it would be nine pages long, longer than my other great grandparents. Then I took the time to count the descendants I have found for each generation: 9 children, 45 grandchildren, 93 great grandchildren & 120 great grandchildren. I am sure there are many more who should be included; more cousins to connect & share with. I wanted to see how far this family had spread across our country and was surprised with the results. For the most part, the family stayed in MS with a few crossing into LA. 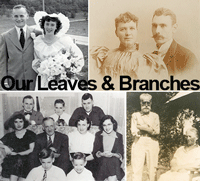 Only my grandfather's branch, the family of Roy J Brown, spread into OH & NY and beyond. Hopefully my "Big Tree" will continue to grow as I connect with more cousins & continue my research. Join in! Arbor Day: It’s All about Trees! You are welcome to use my photo! History. National Arbor Day is celebrated on the last Friday in April. The first Arbor Day was 10 April 1872 in Nebraska where an estimated one million trees were planted. It was inspired by J Sterling Morton and his wife who, when they moved from Detroit to Nebraska, set about planting trees. They missed the trees from back home, wanted wind breaks & shade. In 1885 it became a legal holiday in Nebraska. From there it has spread across our country with school children and others planting more trees each year. Join the Celebration. It is all about Trees! 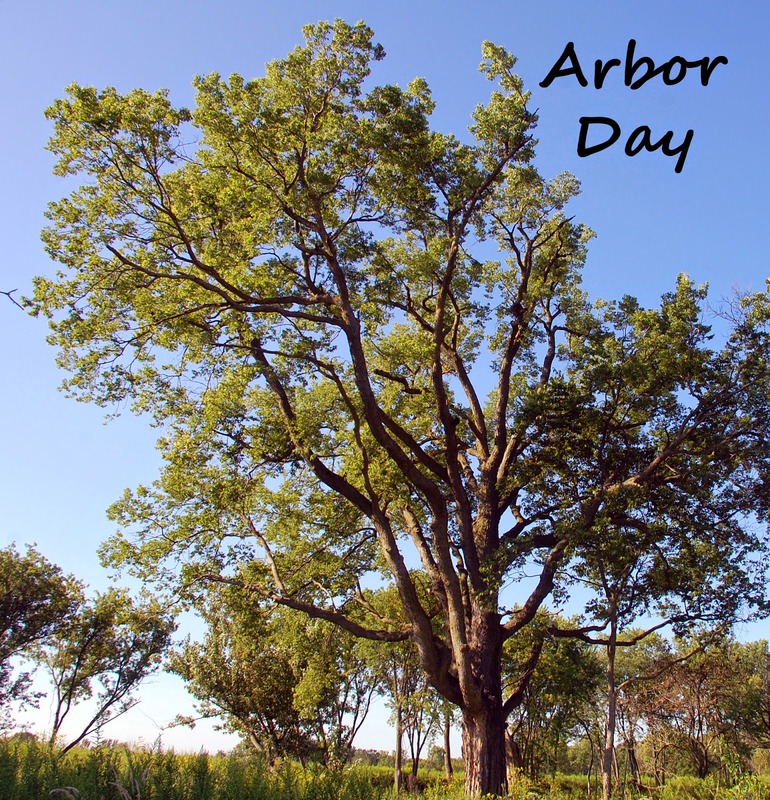 The Arbor Day Foundation lists ideas to celebrate the day. One idea is to organize a "Big Tree” or “Oldest Tree” search in your community. Our blogging community can do the same. Let’s use the holiday to celebrate our family trees. Compare Your Trees. Look at the trees of your eight great grandparents. Select three to blog about on the Fridays in April leading up to & including Arbor Day: biggest, oldest & smallest. Charts. 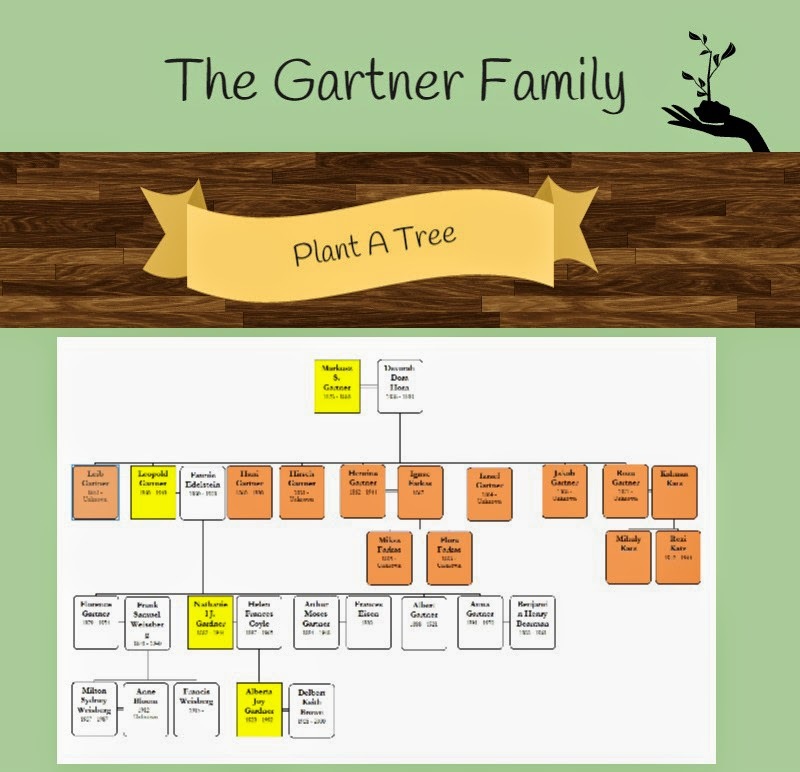 Post a chart of your tree; maybe you have a great idea on how to display your research. Maps. Give an over view of the tree; where was the seed planted and how far have the branches spread? Stories. What is the oldest tale you know about the tree you are highlighting? Have you found any proof to authenticate that story? Are you surprised at where your research has led? Timeline. Look at your tree as if you are looking at the rings of a tree. What was happening when the tree was planted? Weekly Prompts: Use these as a starting point and go in any direction. Look at the trees of your eight great grandparents. Which one is the biggest; has the most family members that you have uncovered? How were you able to count the leaves on the tree? How far, geographically, has this tree spread? Why do you think it is this large? The Arbor Day Foundation encourages us to plant a tree today. Plant a new family tree or give some fertilizer to your smallest tree. What is your smallest tree? What do you hope to do to help it grow? Help a friend plant a new family tree. Keep planting and soon we will have beautiful forests. Share. Be creative & use this only as a starting point. Go off in any direction you’d like. Use ‘Arbor Day’ in the title of your posts. Add a comment here with a link to your posts. This is my first attempt to host anything like this. 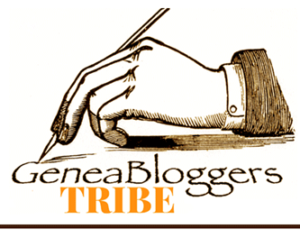 I will do my best to share your post with our fellow bloggers.